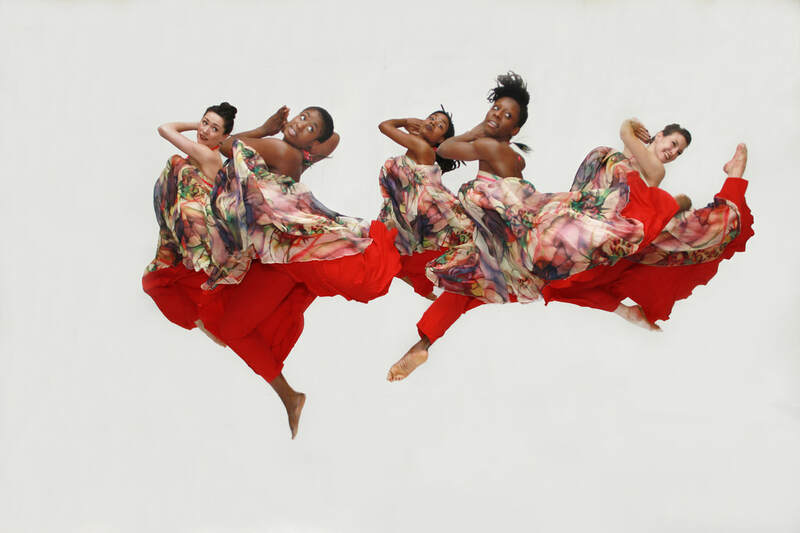 February 22 & 23, 2019 at 7:30 p.m.
Agbara Obirin by Brazilian guest choreographer Nildinha Fonseca of Balé Folclórico da Bahia is based on the research in dances of the African matrix, with poetic dialogues based on “Itãs,” which refers to African gods. The work seeks to construct a scenic language that portrays all the beauty, strength, courage, joy, sensuality, valor and understanding of the feminine as a circularity in the power of transformation, communication and, above all, a parallel with the Ancestral force. Dancers featured in the dance concert include Gabrielle Abram, Leanna Browne, Melissa Clark, Gemma Isaacson, Shannon Mulcahy, Jenny Pennaz, Marciano Silva dos Santos and Alanna Morris-Van Tassel.